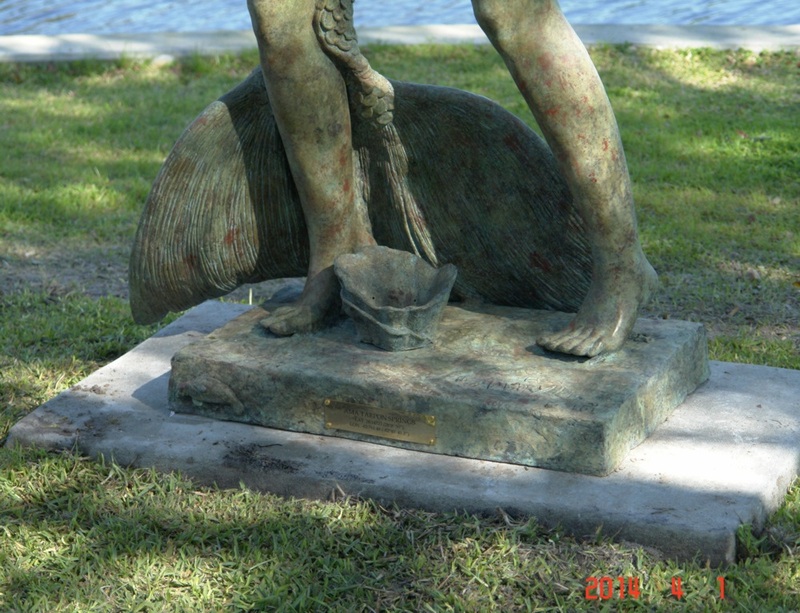 The statue has a traditional vase sponge at the mermaid’s feet, and an small manatee on the side of the base. The statue ties in perfectly with the city’s strong tradition of cultural arts, with its strong Greek heritage, its tradition of diving for sponges and with its status as a haven for manatees. Philip Jepsen and Mermaids Of Earth brought the idea for the statue to the Tarpon Springs Public Art Committee in 2013, and the idea was well received. The Public Art Commission did a fabulous job of surveying city officials and prominent citizens for feedback on the idea. Finding enthusiastic support from every quarter, a full proposal was made to the City Board of Commissioners, who authorized the project in December 2013. The statue was cast in bronze in Thailand and shipped to Tarpon Springs in time for installation before the 2014 Tarpon Springs annual Art Festival on April 5th. The statue, “Ama of Tarpon Springs”, is part of the Amaryllis Art for Charity project sponsored by German company Koh-i-Noor, which aims to eventually place 100 similar Ama statues across the world in locations of great beauty near water. 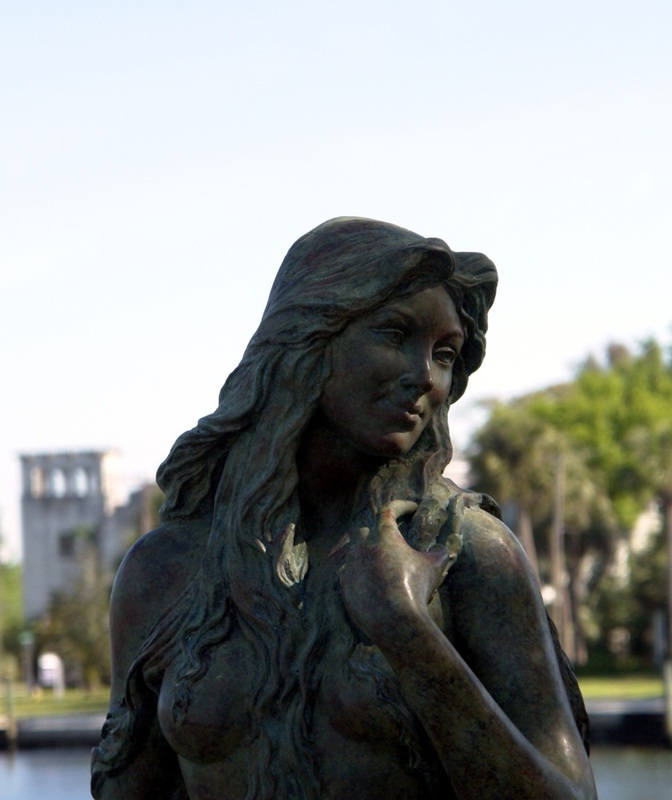 Ama of Tarpon Springs is the 17th statue in the series, and the first on America’s East Coast. The name Ama comes from the Japanese word Ama, referring to traditional pearl divers in Japan, similar to the haenyo divers of South Korea. Ama is also the nickname of French artist Amaryllis, who created the Ama mermaid sculpture as well as many other mermaid art pieces. The Ama of Tarpon Springs project has been covered in the media by the Tampa Bay Times and the Suncoast News.